If you purchase a cigar box that is less than pretty I suggest gluing some pretty papers onto the box. Paint will cure a lot of woes as well. I didn't paint my box, I liked to color of the wood, I did however, tear out the cigar brand label and then proceeded to glue pieces of nice inexpensive papers. I have old vinatge buttons and ric rac I plan to glue to my box. 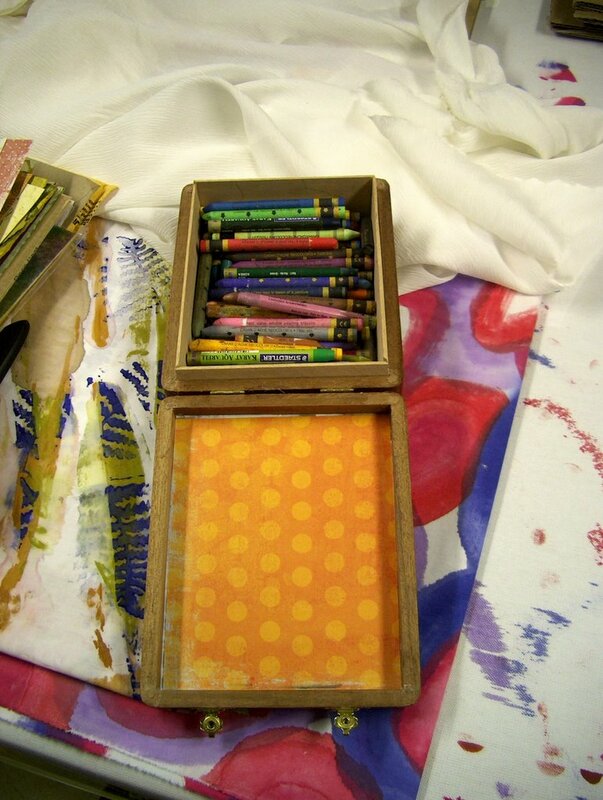 My water color crayons will live in this box, I have a couple of brands, Caran d' Ache being my favorites.